Amazon Hot New Release. Order here. An inspiring and interactive handbook to empower young people to drive change in their communities. As an 18-year old, Eric Dawson, co-founded Peace First with a simple idea: If we are going to solve the world’s greatest injustices — end violence, protect our environment, raise graduation rates, ensure everyone has food to eat and a place to sleep — the single most powerful thing we must do is prepare a generation of young people with the skills and commitments to solve problems by connecting across lines of difference with compassion, standing up for ideals and others with courage, and creating change through collaborative leadership. Don’t see your city? 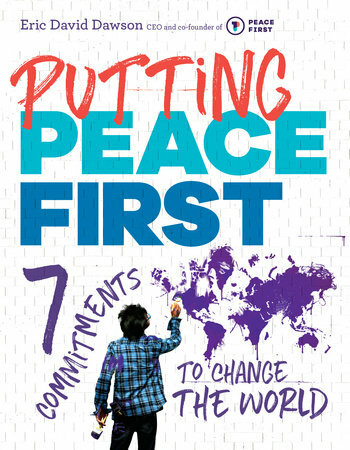 Sign up to host an event for the Putting Peace First book tour in your city, here.